November has been so busy and I haven't had enough time to really sit and reflect on what I've really loved this month. Two things I have been loving can't be photographed, because one is an app and another a TV show but I've got a couple of things I really have been loving and using lots throughout November and become staples in my winter wardrobe. I hope you like what I've got to share as my favourites today! 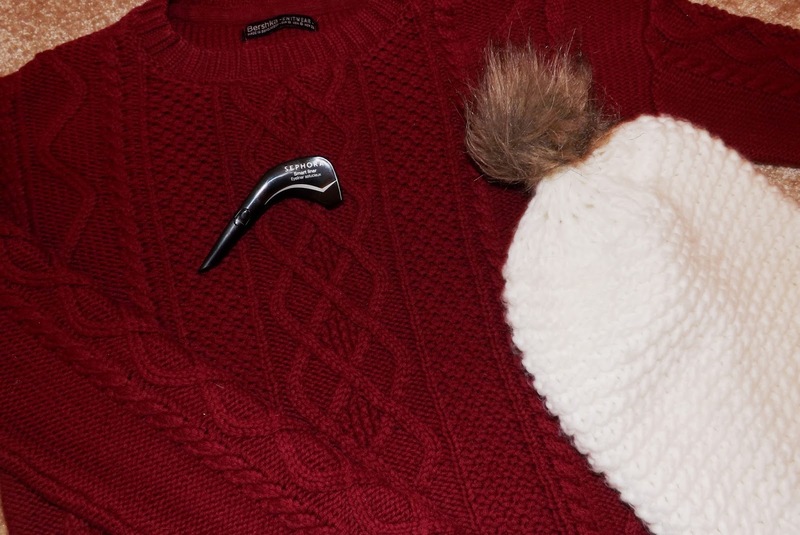 This month in terms of physical items, I've been loving my bobble hat from BonPrix and all my jumpers! In terms of jumpers I've been particularly loving my burgundy cable knit jumper from Bershka. I've pulled it out at least once every week this month with the weather getting so cold, and I've loved making some great outfits with it like this one here! As for my bobble hat, it's just so super cute and I actually got it at the #BloggersFestival this summer from Bon Prix. It's become my most used item in my winter wardrobe because I absolutely hate having a cold head! 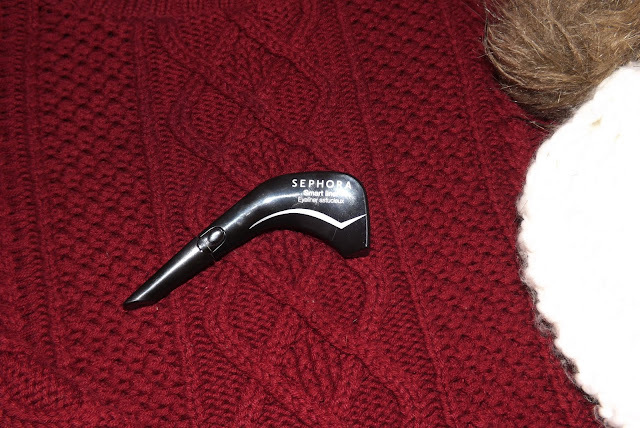 Also this month I've been adoring this Sephora Smart Liner! I bought it on holiday back in Lisbon and I've loved it for creating the best cat eyes. I don't know if it's because of the eyeliner formula, the foam tip or the shape of the packaging that makes this so awesome but I'm worried about it running out because I don't think I'd be happy buying it from the Sephora website and paying ridiculously high shipping and then tax and duties! Boo... Trip to America plz!? Also this month I've been loving a new app/website called Yoogaia. Also at the #BloggersFestival I was introduced to Yoogaia, a yoga app that provides live yoga classes you can do anywhere as well as pre-recorded classes from about 15 minutes to an hour! I've loved doing the pre-recorded classes because it means you can do it anywhere and all you really need is some space and if you have one - a yoga mat! I've been enjoying around 3 sessions a week at the very least and I've loved learning about yoga and doing some form of exercise every week without feeling like it's a chore or even leaving my house! I love it, and even when I've finished my free trial, I'll most definitely sign up to carry on using the service! If you're a Netflix chick like me, then you probably already watched it too and if you haven't: you should! Once Upon A Time is fast becoming my favourite show on Netflix, it's already outranked Orange Is The New Black, Better Call Saul and Breaking Bad for me but I don't think it can outrank Pretty Little Liars just yet. I'm loving the storyline at the moment, and I just love how they keep adding characters and intertwining the stories though sometimes I don't understand the whole travelling through realms thing and how people got to certain places. Either way, I've been watching it religiously on Wednesday mornings whilst doing my make up before work so I don't have to wait until after to watch it.